Kit #JT12. 1/48 scale. 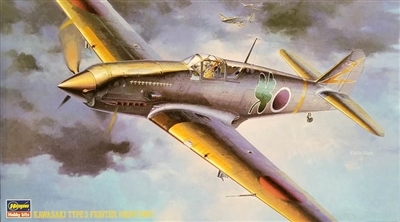 Kit released in 1994 with optional drop tanks, decals and paint guide for three aircraft: 244 Sentai, 17 Sentai 1944 and 105 Sentai 1945.